In this Episode of Supercharged! we speak with Austin Hughes from Thunder Sun Homes. 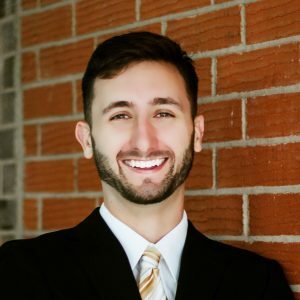 Austin is a real estate investor who handles all types of real estate transactions and who found Podio when he was looking for ways he could improve his business. As a self-taught Podio man, this episode dives into how Austin found Podio, how he began to understand and harness its strengths, and how he has leveraged the business efficiency that Podio has brought him to expand his business! Welcome to Powered by Podio. Automation is everything. Supercharge your business with Podio. Get ready for another episode of Supercharged! with Jordan Samuel Fleming, your weekly dive into the awesome impact workflow and automation can have on your business when it’s Powered by Podio. Join us each week as we learn from the top Podio partners in the world, as we investigate system integrations and add ons and hear from real business owners who have implemented Podio into their business. Now join your host, Jordan Samuel Fleming, CEO of Gamechangers for this week’s episode. Hey everybody. Welcome to this episode of Supercharged! I’m your host, Jordan Samuel Fleming. Here to talk all about the power of workflow and automation when your business is Powered by Podio. Today’s guest is Austin Hughes from Thunder Sun Homes. He was a sole operator at the beginning, and has used Podio to help them scale up. Austin, welcome to the podcast. Introduce yourself to the audience. Thank you so much, Jordan. I’m Austin Huges. I’m the owner of Thunder Sun Homes. We’re here in Lubbock, Texas. Some people call it west Texas. It’s more up north. So if you know about Dallas, just go west. We have a, a decent market here, but I, uh, I’m happy to be on the podcast. Excellent. Well I’m, I’m really excited to talk to you today because, um, I always like talking to people who have kind of built up Podio on their own and started to use it to run your business. So how did you first get in contact with Podio? Well, I was like you said, a solo operator in my business and I was looking for something that was going to help me just personally be able to do a little bit more, uh, fill in my weaknesses would be in a little more organized. And so I kind of had it, I saw a guy that was using Podio and I looked into it and I saw it was customizable. I said, that’s it. So I’m just saw some youtube videos and, and got started with kind of a basic system that I got introduced to Podio with. What did, what did you start when you first started? Cause you’re, you’re obviously in real estate and I know a lot of people in real estate use Podio. So given that you came into this and started building yourself, instead of, you know, buying an off the shelf like REIevolution, what did you start with? What were the things that really drove you initially? Uh, as far as the apps in Podio? The functionality. Like what, what, what did you sort of think, okay, this is how I need to start. Yeah. So number one, being able to be organized with my leads. Just the basics of a CRM, not necessarily all the automations. I thought those were just mind blowing. But just being able to say, if I’m organized, I can do the one thing in my industry that everyone says they do. But no one really does. And it’s the most important thing and that’s follow up. And so just being able to have just the basic organization, that’s, that’s what I was craving after that I didn’t have before using Podio. So lead management was like a real first driver for you. Um, what were you using before Podio? I was using my cell phone. And, um, actually I saved, so when I was selling houses, I’m not a realtor by the way, but I flip houses and sell them to keep the different contacts in my phone. I would put their name and then their last name will be “wants to buy a home”. And so I would just look “wants to buy a home” in my contacts and call them up. I mean it was terrible. It was bad. Wow. Okay. That is not one I’ve heard from before. That’s, that’s that, that, that, that would be an interesting one. Um, so you, you mentioned you sort of, um, you know, you started building things you saw as customizable as a Newbie, as someone who first got into it. Um, what did you find like, cause I think a lot of people that they are interested in Podio, but they, they find it a bit of a leap. They think it’s going to be too complicated. What was your experience around that? Well for anyone saying it’s too complicated, uh, that doesn’t really exist with Podio. There is a leap from not knowing how to use the internet to using Podio. There’s a little bit of a leap there, but if you know how to use the Internet, you can definitely use Podio because that’s kind of my story. I have no computer skills, no background in any of this. I still don’t know how to hook up a printer. Somehow. I’ve been able to build out Podio to take just the basics and build out a really robust system. And so, um, if you’re a beginner and you’re looking into it, uh, it’s definitely doable because Podio, Internet, coding…all that stuff, not my forte and I just kind of had to do it and it was really easy to learn. Did you find that those little bits of help materials were useful? Um, because one of the things that I, I find when new people get in Podio is a lot of times because nothing really exists. Not really until you build it. Uh, I think there are some times where people are just missing a bit of direction with those youtube videos enough to give you the direction you needed? Yes, I would, uh, I have two screens and so I would need to go split screen or two screens, have the youtube videos on one and people would just show, hey, here’s how to, uh, make, make it. It’s where when you click a button, all these actions happen are, it gives you a task. And I would just say, okay, they’re doing this, they’re doing this. And I would just do it on my side as very straight forward. And how has he, have you found that your processes have maybe changed or gotten better? Um, because you’re now thinking about them in terms of Podio or activating him in Podio? Yes. Yes, absolutely. Because when you have processes in a business, they are based on triggers. And so, um, if you have a checklist for something, uh, you want to check everything off, but you probably can’t check off number three until number one and two are done. Things go in a certain process. And so, um, the focus with Podio is taking all my processes that I know and bringing them in in a logical way. And so as you mentioned, whenever I’m bring my processes and it exposes all the holes because when I’m building it into Podio, it has to have a trigger before it. And so if I just kind of lump everything together and say, just do all of this stuff, it doesn’t really work as smoothly. So I have to say, okay, well logically this happens and then when that’s done, this happens. And then when that’s done, this happens. And so, uh, been Podio follows my processes and brings an automated tasks and assigning them to the right people. So yeah, it definitely helps me think in terms of processes. Absolutely. And, and, and hopefully making them better. Always. That’s always the goal. I, uh, I’m updating actually my, uh, my daily Max Action for my team. Everyone has their own one to three things that are the highest value things that they do each day. Mine is updating a process. So, uh, we’re constantly constantly doing that. Excellent. Um, so, uh, what are, you know, what our big automation savers in your pro, in your system right now, what, what are, what are things that used to take you a lot of time and are now much better? Well, um, the whole flow, the whole deal that from seller leads all the way to making offers all the way to it’s under contract. Now we have our closing process. Okay, it’s closed now we can move it to our inventory and create units if it’s a rental and okay, we can it from our inventory now and it links up to our construction projects and our construction projects link up to sub contracting projects and those leak up two receipts and mmm. Been our, our retail buyers, they call in and we link those up to closings. We link those up too, tenants to contract signings, which also links back around to the units and the inventory. And so just the fact of how it’s set up, there’s so much manual data entry, especially in real estate, it’s very information rich, you know, um, in certain businesses you can by inventory sell that inventory. It’s pretty cut. And Dry. But with real estate, you’ve got tons of information. Uh, when you list a property, if any of y’all listed one on Zillow, you’ve got to enter in a thousand questions. And so, and actually our Podio is integrated with Zillow already so it automatically pulls that into our system. So, um, a lot of people, they have to enter in data and enter in data and enter in data and enter in data. But with how we’re set up, it’s, it is totally revolutionary to the old way of doing things because everything just goes in sequence in it’s all together and different team members can pick up on their part, the person that’s talking to seller leads and doing acquisitions and then the closing coordinator, project manager, property manager. It, it is all integrate so nicely. It’s all in one. Sure. Clearly it also aggregates up so that as you do things across a process, you can, not only can you see the chain but it aggregates up to the top end. Yeah. Um, now, uh, before I move on to sort of things you’ve integrated, I mean you mentioned Zillow, that’s awesome cause I know, um, you know, we, we, we integrate Zillow all the time and the ability to quickly get all this information automatically so that basically within a second of your property being added, you’ve got all the, the Zillow breakdown. Um, I know that’s very useful. Um, um, what other sort of, uh, what are the sort of integrations have you done? Um, you know, like, uh, clearly you must use GlobiFlow quite a lot. Um, yeah, you, you use it, rightsignature. Do you use share file to use Zapier or momentum tools or what are the things have you found used for and are you looking at other things? you’re not required to, uh, use smrtPhone to be on the podcast. You don’t have to worry about that. But I certainly, I mean, you know, and you mentioned integrated gmail. I, um, uh, I don’t know if you’ve ever seen the, the, the inbox integration stuff that we’ve done, um, that I haven’t, yeah, I’ll send you some stuff. I’m actually, you know, just because I think communication integration for the real estate industry is critical and that’s really, yeah, it’s, it’s not just critical from a, you know, an inbound lead being able to action that, following it up and make sure that’s happening. But you know, the followup on that, the sequencing, the, the, the ability to make sure you’re making that extra phone call or text or whatever. I, I’m not a real estate guy, but I’ve now built a lot of real estate systems and to me communication is paramount. Would you agree to that? Yes, and that’s been a big gaping hole in our system that we don’t have figured out quite yet is the email portion as well as text messages. We can text, we can text message a lot, but, um, that’s why we’re moving to smrtphone because it’s just perfectly integrated with what we have now. It’s, you can send texts and received them, but it’s really kind of, it’s weird. It’s weird how it’s set up. So, uh, you know, having that communication is a big reason because, um, you know, switching over systems that you’re using, it takes time. You know, you get, you build out your systems with, with whatever you have. And so it takes time, but certain things as you progress become more and more worth it. So whenever I was doing one deal a month and just maybe had one team member and wasn’t doing too much, it didn’t really matter to me. But now these little things that are inefficient, they become glaring monsters because they’re compounded over and over every single day. So communication is one of those that as huge, um, one of them, the thing that we use, so we’ve been using for a digital signing, we use sign out, which that actually integrates with Zapier. And so, uh, it hasn’t really integrated well. I think they have an API that we’ve tried to use and I hope I don’t lose the listeners here because I don’t know much about Api. I did have helped with this. I just know API connect stuff together, but we can never really get right. We can never get signed now to work very well. I know RightSignature the partner with Podio and so we’re planning on switching to them so we can have everything integrated and not have to go use a third party system. Yeah, I uh, I definitely think if you’re, you know, um, I recommend RightSignature to all our clients. We build it into boostpm, which is our property management system. Uh, we’ve also got a couple of real estate systems products and we’ve got some other products we’re coming out with from engineering point of view. RightSignature’s always integrated and that’s because the price points also scalable with rightsignature. Um, with access to the API, um, where you’re dealing with a system like docusign. Um, they’re, they really try and screw you over the barrel. Um, and of course, rightsignature is natively built into globiflow, which means that you can run flows if you’re using a template system in RightSignature. Um, and you can run flows that say when a document is signed, you know, do something. So, so we, we all, you know, our sales process ourself is send the contract. We are right signature. As soon as they sign it, we go ahead and charge the credit card if that’s needed, uh, create the project and everything is seamless, um, based on the receiving a signature. So I definitely recommend RightSignature and I recommend the email thing. I mean, I’ll take a just privately offline, I’ll show you some things. Um, the, the, you know, I integrated fully our communication suite into Podio probably a year and a half ago where we had everything, everything awesome. Um, I simply don’t use any, uh, I mean, aside from Facebook messenger, um, because we do a lot of sales on Facebook now for property management, aside from integrating that, which I’ll look into at some point, I’m just too, too tired. Um, SMS, phone call, emails, everything is integrated and it has been a complete game changer literally for our business. And I think for real estate, uh, it is 100%. Um, let me ask a couple questions. So you, you mentioned obviously you scaled throughout your time in Podio, you’ve scaled your organization, you’ve now onboarded more people, you’ve got more people working for you. What has been the challenge of bringing Podio to them and to the team and number one and, and what has been the, uh, um, what has been the interactivity, uh, benefit that Podio is brought to you? and just everyone for them to be able to communicate with how I set it up, I need to train them a little bit. They need to know a little bit, just enough to be dangerous about the other sectors. Now most of them have mastered their own section of the business, but when it, when they asked, you know, what property do we have coming up in the next two weeks for closings, then just allowing them to see where everything is. I guess when you get into a complex organization like mine where we do flipping and wholesaling and owner financing and rentals and lease options and all these things, when it gets complex, it can be tough to have everyone other than me be a master and know where everything is in Podio. I can understand that. Yeah. Yeah, I can understand that. But, but that also brings up a, you know, interesting questions. Um, one of the things that I like and I think that one of the things I always position Podio to new people who are just getting into it is Podio should be the killer, you know, uh, of your internal emails. You should never, you know, I, I genuinely hand on heart aside from when I onboard new staff and they don’t realize yet. Um, I don’t get, I haven’t had an internal email, uh, just like, uh, you know, I’ve been cc’d on things, but even that goes away. Um, I think Podio, one of its great strengths is his ability because it’s such a collaborative space, um, to kill off internal emails. Uh, have you, have you had that happen or, or, or, or you, you know, is that not something you found? Well, for the listeners, you’ve got me someone that’s right here and then you got Jordan up here. So that sounds amazing. I would love to do that. We still do use internal emails. I’m kind of, I’d say about half and half, half the time I’ll assign a task and then half the time I just say, okay, this is not any process that we built out yet, so I’m going to have to explain it anyways. I can’t just click a button, so I’ll just send an email. So that’s where I’m at right now. as I grow in business, there are certain principles that I pick up. There are certain ways of doing things that I pick up, different books that are read lessons. I learned that no matter if I had to restart tomorrow, no matter what industry I was in, whether it real estate or any kind of service product or whatever you can think of, I would take these principles and I would take these lessons and I would use them in my new business. Podio is one of those things. Anytime I get a crazy business idea, um, I started going through processes and I start thinking of, okay, what am I going to build out in Podio? How is Podio going to take the old school way of doing things? Automate 90% of it so we can be hyper productive and run a good lean business. That’s, that’s just where my mind goes. So to me, no matter what venture I started in the future, it’s, Podio is a must. It is a huge asset. Absolutely. I, I run, I run a number of companies now on Podio. There. There’s no real part of my life that isn’t in Podio at this point. You know, I, and the kids aren’t yet, but the two young, I get, give us a bit aside, but I, I think that’s important. You’ve also touched on something that, you know, all of us are, I mean, I’ve been in business now 13 years, 13 years. I can’t remember. Um, uh, in various forums. I’ve, I’ve, I’ve had a business for 13 years or multiple businesses for 13 years. And you constantly learn. You constantly get better. You make mistakes. You correct them. You don’t make the, began, you make new ones, you, you know, and, uh, and I think that, that, that Podio really, um, uh, would agree that it’s one of those things, uh, that, that, that stays with you. But I also think it’s Podio is, is unique among software because you can continue to develop it and make it smarter and better. And I think touched on that nicely. That as well. Just as we end up here, uh, tell a gay, Gail, is there anything, uh, how do people find you? How do people check you out if there are people in your area looking to buyer or sell? Uh, give us a bit of contact details so people can find you and I’ll put it in the podcast description. Sure. So, um, most people like going to our Facebook, our Facebook is just Thunder Sun Homes. And so it’s like nature Thunder Sun Homes. We got the big yellow glowing ball as are our logo. So you can find us there. Um, we love, we love helping people out. It’s not just about doing deals and, and business. Um, as we’ve grown bigger, we were able to kind of choose what we do and what we don’t want to do and we just love helping people out. And so, um, we’re up in Lubbock, Texas. If you have any kind of needs, if you want to by home or buy a investment property or sell your house, then give us a shout. You can also reach thundersonhomes.com or the business line is (806) 686-4114. Excellent. Well I think for those people, you know, if you thinking about Podio, this has been a great opportunity to, to hear from someone who started from scratch and who’s been able to build up his business and his Podio at the same time. One feeding the other and one, uh, you know, really very much facilitating the other. So I think for a newbie and for someone who’s maybe just getting into Podio and unsure whether this is the right decision, uh, this has got some great insight here. Uh, I, and I think we’ll leave it here for that. I want to thank, uh, Austin so much for joining us. Um, you know, and everybody have a great week. Austin, you have a fantastic weekend as well. You’ve been listening to a supercharged with Jordan Samuel Fleming. Subscribe today on Itunes, Google play, or Spotify for your weekly dive into how you can supercharge your business by making it powered by Podio. 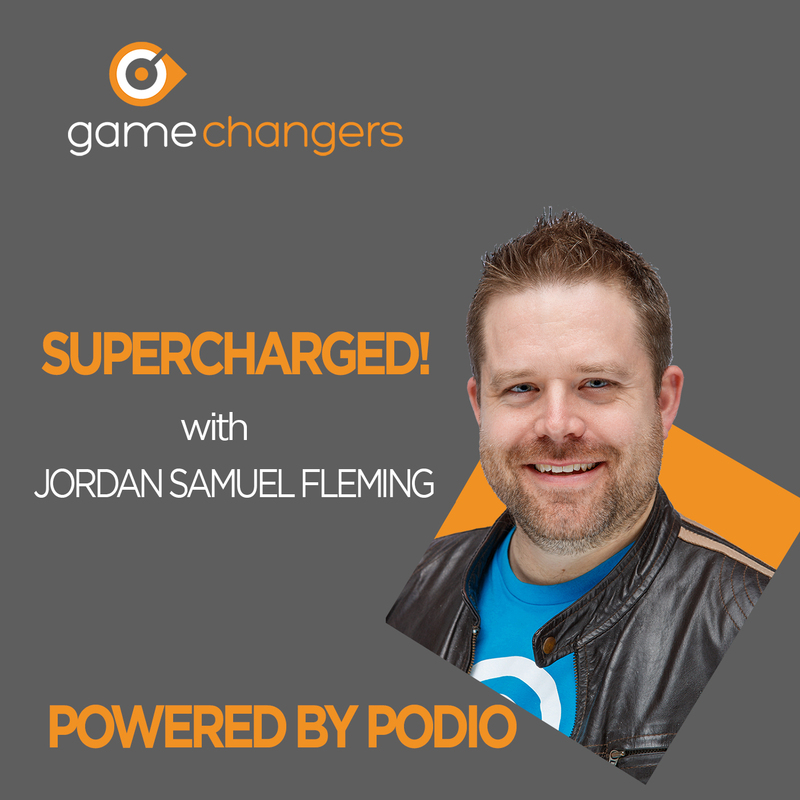 Be sure to check out our website: www.WeareGamechangers.com where you can learn more and arrange a 30 minute call with Jordan to help you understand how Podio supercharges you.